Mobility has become a game-changer in every so many business verticals, allowing to control production, service centers, office on the go, multiple locations at a time. Consequently, mobile video surveillance is on the rise and is likely to continue. With this increasing demand for mobility in mind, we brought Xeoma to another platform – Android-based devices. With the new free Android app for remote video surveillance Xeoma you can bring your maintaining your business and home security system to a whole new level. In offices, security cameras encourage staff to work more efficiently, and help provide safer environment. Plus, cameras are proven unbiased witness in case of incidents and investigation. In homes, video surveillance can provide peace of mind: the all-seeing eye will not just record everything in front of cameras, but also send you alerts and allow to login to see what cameras see, from mobile device, from anywhere in the world. Tired at work? Take your phone and log in to your video surveillance system just to see your Hector pug unsuspiciously relaxing on your bed. This little cutie! Now back to work! In construction and building business, it’s used for a central office to monitor the course of actions, pace and progress in construction. In restaurant and cafe, on hotel reception, store checker and so on, video surveillance can help detect money thefts and frauds, and counteract fraudulent claims. In schools, remote video surveillance provide safer environment for kids to concentrate on learning process and for teachers to do their job without fear. Basically, what mobile video surveillance offers is the ability to check in several, perhaps even hundreds, locations so spread out geographically that it would be next to impossible visit them with so little time loss otherwise. You don’t have a video security system yet? Time to get one! With technology advancing so fast, getting and setting up your own video surveillance system is now a child’s play! Especially with Xeoma whose lego-like architecture allows for maximum flexibility and easy-to-understand control! Grab your phone or tablet. Having downloaded the app, install and run it. 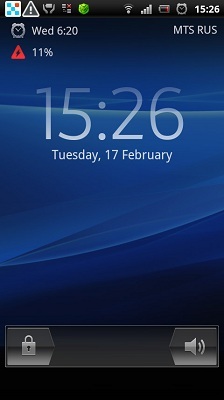 You will see that the app is almost an exact copy of desktop Xeoma you are used to. As powerful and as easy to manage as before, now also incredibly flexible. Just client part will be launched by default. The Android app will auto detect your cameras (including the built-in camera if it’s available) and connect them. 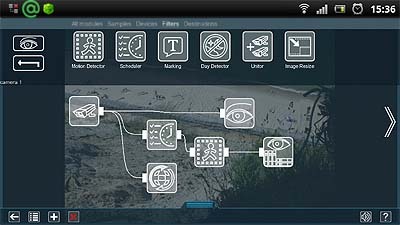 You can use Xeoma in the regular editions – free, trial and commercial, with commercial being the edition perfect to experience all the powerful features of Xeoma in action. Xeoma can be used as a client part to connect to Xeoma server on another device (desktop or mobile). Fill in the fields in Connection Dialog (Main Menu -> Remote Access -> Connect to) to connect to that machine. 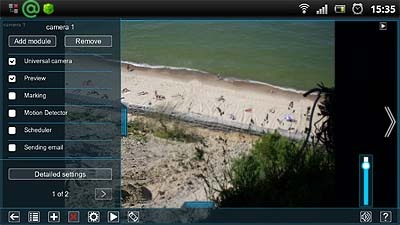 As a client part, Xeoma free Android app will connect to that remote server part of Xeoma on another machine, and you will be able to view cameras live and recorded archives, apply changes to settings. 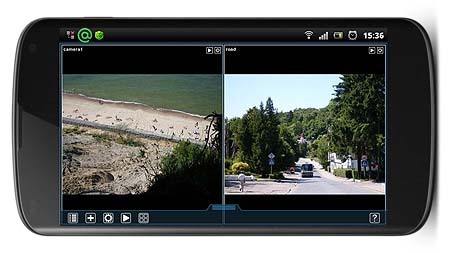 Or, with Xeoma free Android app, your Android-based device can become a video security system itself. 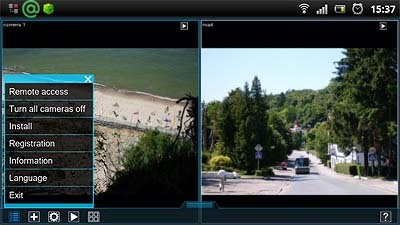 Connect the cameras, set events and reactions up, assign user rights and much more for your new mobile video surveillance system. With the “Window Popup (on Client)” module (Destination tab in Xeoma’s upper bar of modules) you can receive push notifications on your Android, for example when there is motion detected in the field of view of the camera. Unlike regular desktop versions of Xeoma, where this module simply deminimizes the minimized Xeoma client window, the Window Popup module on Android will, when triggered, make a notification sound, flash LED lights and show Xeoma icon on notification bar of your device. You can view this notifications’ info and find out when motion was detected. Clicking on this notification will take you to Xeoma where you can view the motion event or take other necessary actions. The icon will be shown in the notification bar until you open Xeoma, so even if you were away at the time of detection, you will not miss it.